Are you moving to or from The Magic City? 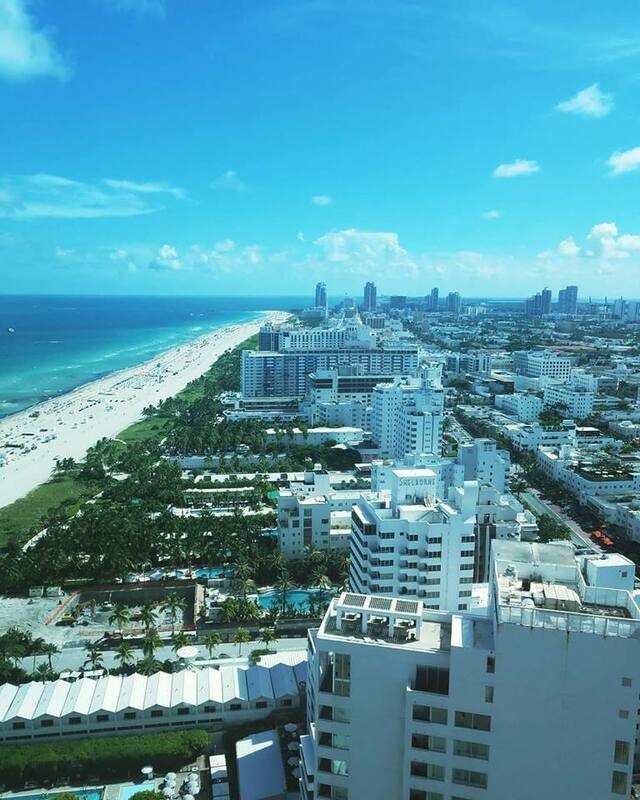 If you are looking for Miami Beach movers, you are in the right place for a moving service that will relocate you while you are enjoying a beach walk, or shopping for your new home or office. Easy Florida Moving is ready to make you forget about all the moving fuss and make your life easier. We are a moving service that can take you to your new home or office. We specialize in local and long-distance moving, residential and commercial relocation, specialty items care, packing and unpacking, assembling and disassembling furniture and many other moving services. Easy Florida Moving can guarantee that your moving process will be thoroughly handled by a professional and efficient team of movers. We offer a Full-Service Relocation, meaning we take responsibility for your move, from start to finish. We are fully insured for all activities as well. Our Team of Movers – is something that Easy Florida Moving is proud of. We pay attention to every detail and every aspect of the relocation. Our Miami Beach packers constantly learn and improve their knowledge. You will not get a better and more knowledgeable team anywhere else. Flat Rate Moving; Our company is determined to give you the best rate as soon as we evaluate your belongings, the amount of work required, and the materials we will need to use. We understand that you will not like any surprises especially when it comes to the price of relocation. Our unique Flat Rate moving will prevent those surprises. The Trucks and Materials we use are in much better shape than most of the moving services in Miami Beach. This is something that we truly take pride in. Easy Florida Moving takes care of the vehicles and equipment like no other South Florida competitor. Our Customer Service Team will make sure that you will be taken care of every day of the week. We are so dedicated to our customers that we even work on weekends. Any Special Requests will be well-thought-out. If you have to move any complicated items, like expensive art objects, priceless grand pianos, or office equipment, including projectors, computers, etc., we will take care of this process as well. Our insured movers in Miami Beach will guarantee a safe and protected move for specialty items. Easy Florida Moving is proud of our work. We possess qualities of a creative, knowledgeable, and well-organized team that you can trust. Every move is going to be customized and created to fit your strictest needs. We have spent years of mastering packing skills, and we are ready to apply them to your business or home. Give us a call, and our packing and moving expert can give you an onsite or over-the-phone estimate of your future move. As soon as we get the evaluation of the belongings, we will be ready to give you a flat rate quote. Easy Florida Moving is proud to be a Top Rated Mover in Miami Beach and all over South Florida. We are dedicated to making your life easier, one move at a time!